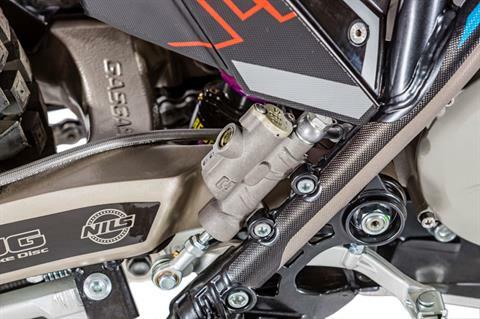 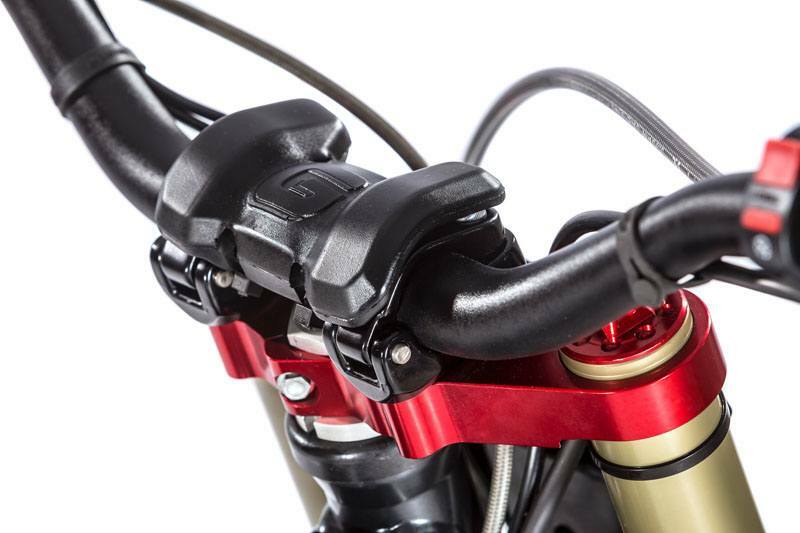 The new TXE 2019 is launched with a state-of-the-art controller and incorporates the same swingarm as the models of the TXT Racing 2019 series. 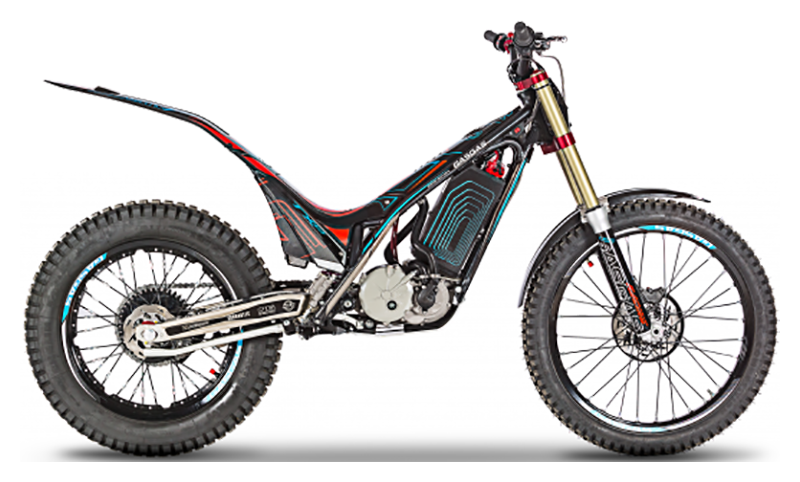 Maximum performance for the great benchmark of electric trial, a unique motorcycle in its discipline, combining clutch and gear change. One more step in the evolution of a model that presents a new aesthetic line, even more electrifying than its predecessor. 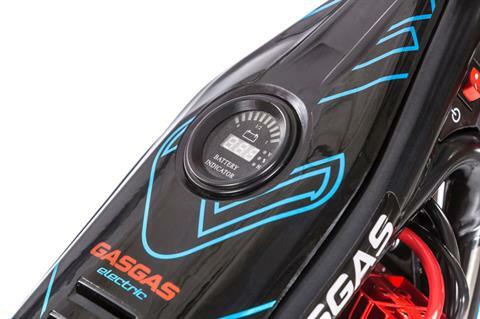 The pioneering firm in the World Electric Trial Championship presents its new GasGas TXE. 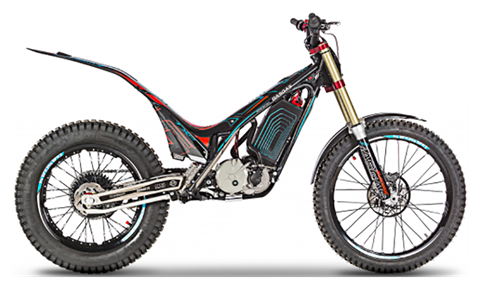 A renewed and updated version of the model that Marc Colomer and Loris Nubian rode to victory in the two editions that until now have been held of the TrialE Cup in 2017 and 2018. 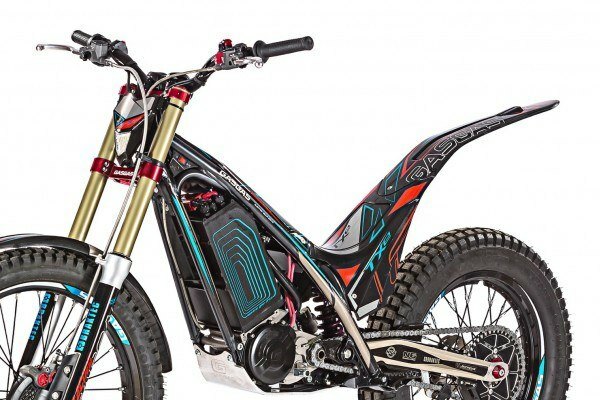 AN AUTHENTIC ELECTRIC COMPETITION TRIAL: Undoubtedly the most innovative electric trial on the market, an authentic 'factory racing' bike with advantages that promise to surprise the lovers of trial, who can now practice their favourite sport accompanied only by sound of nature. 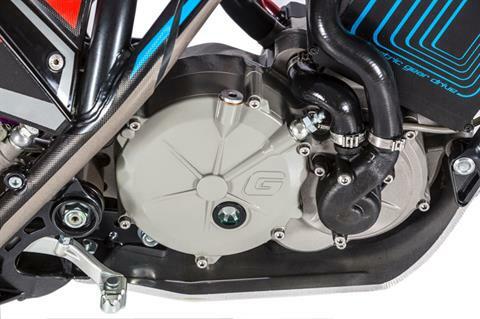 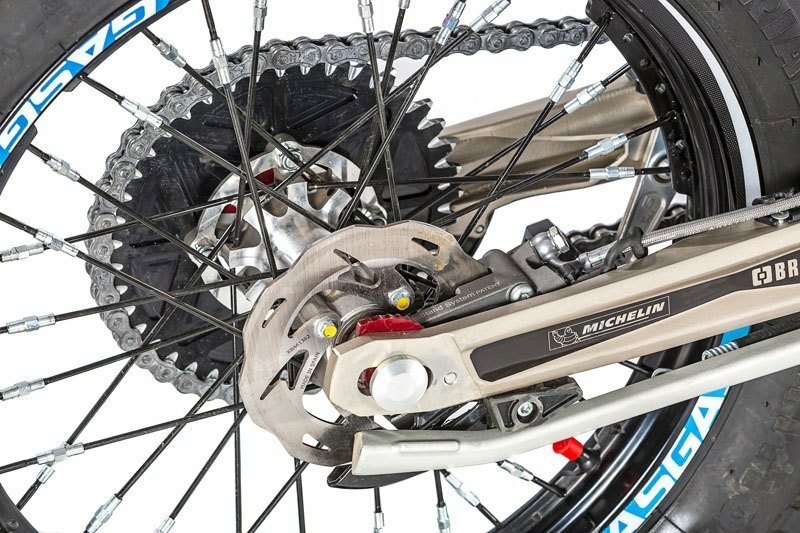 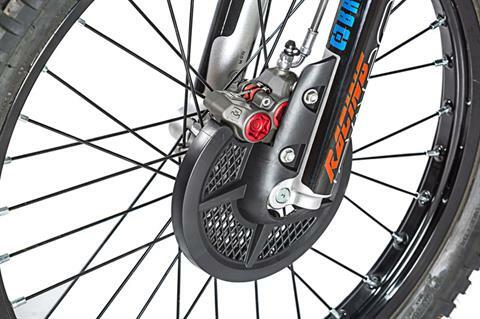 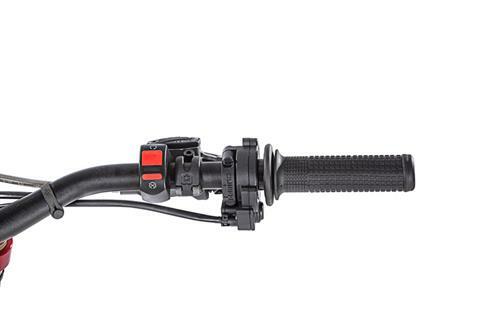 The GasGas TXE maintains the same mechanical clutch system and six gear ratio as the previous model. 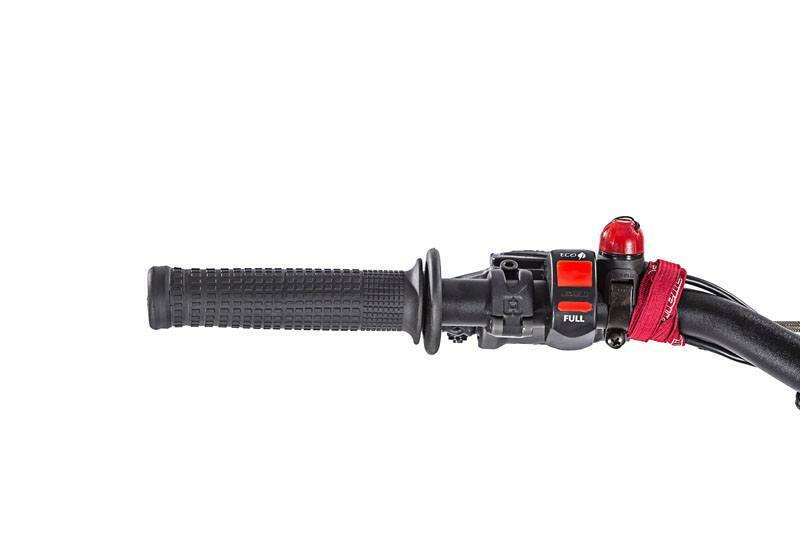 A solution that ensures the same sense of touch and control in the power delivery as its namesake the TXT, although in this case with an electric motor developed by Torrot and powered by a battery of the very latest generation with enough range to enjoy a complete trial session. 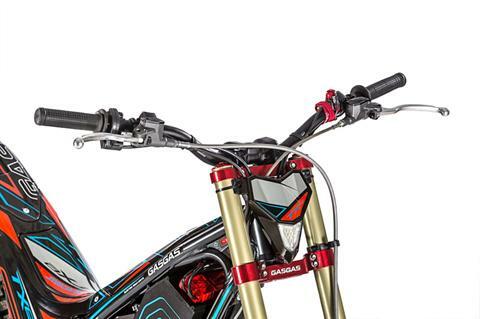 A bike that is agile, light and well-balanced weighing only 68 kilograms, taking shape on the chrome moly steel multi-tubular frame of the GasGas TXT Racing series, and sharing a large number of its components, both on the front and rear ends, with the exception of the mono-shock absorber from the firm Reiger. WITH THE SEAL OF APPROVAL FROM THE MULTIPLE WORLD CHAMPION MARC COLOMER: An electric racing model (not approved to run on public roads) with the unmistakable mark of the champion from Santa Pau, Marc Colomer, and the GasGas Trial Department.